Authentic Native American made dreamcatcher keychains available. These come in a variety of colors from black to brown to beige. Wrapped with deer suede leather, traditional sinew, and decorated with a colorful wood bead. Please indicate you color preference in the drop down for the main color. The bead color will vary but if you would like a specific color please send a note and I will try to send one that most closely matches your request. Otherwise the bead color will be picked at random. 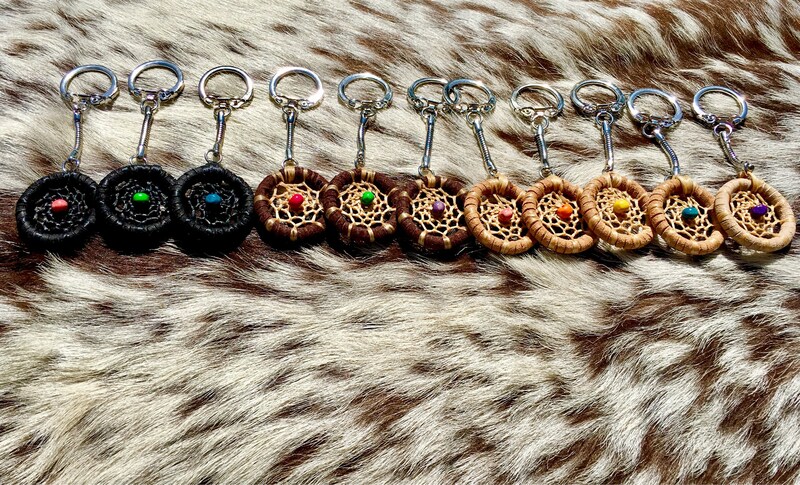 Each of these keychains has been sage blessed to help bring protection for your travels. Nice key chain and all that I expected it to be. 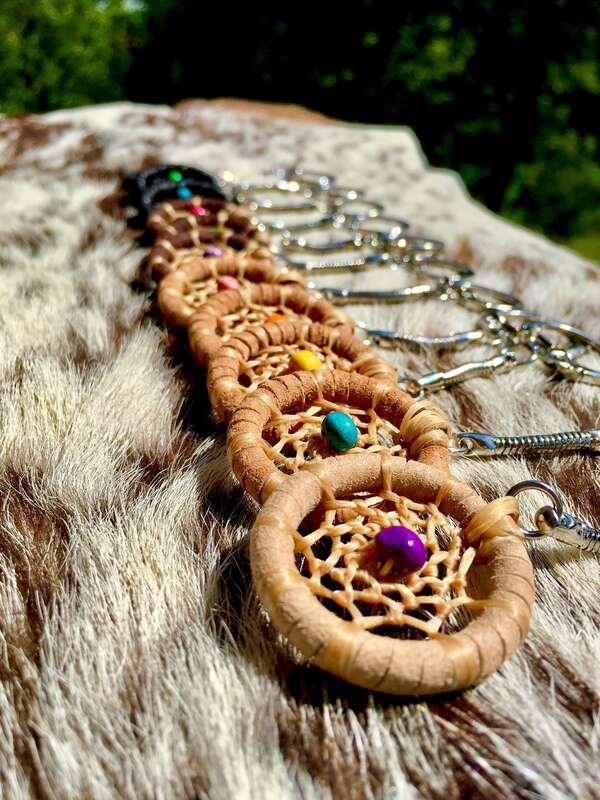 Get these well made dreamcatcher keychains for the gents in your life! Very well received gift! Make sure to get an extra one for yourself, they are so nice! Thanks! Perfect size and great quality!! I love this little dream catcher key chain. It’s enchanting. Thank you.